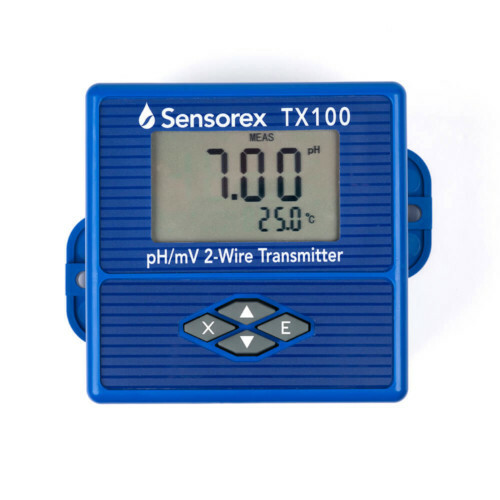 Our TX100 is a fully-featured pH/ORP transmitter for use with pH and ORP sensors. 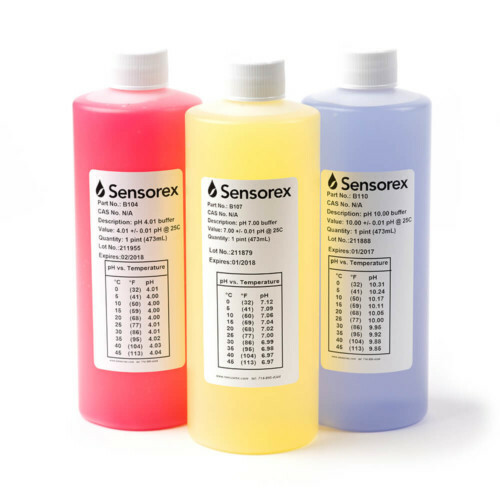 The large display shows pH/ORP value simultaneously with temperature. Versatile mounting options for wall, panel, DIN rail or pipe mount. 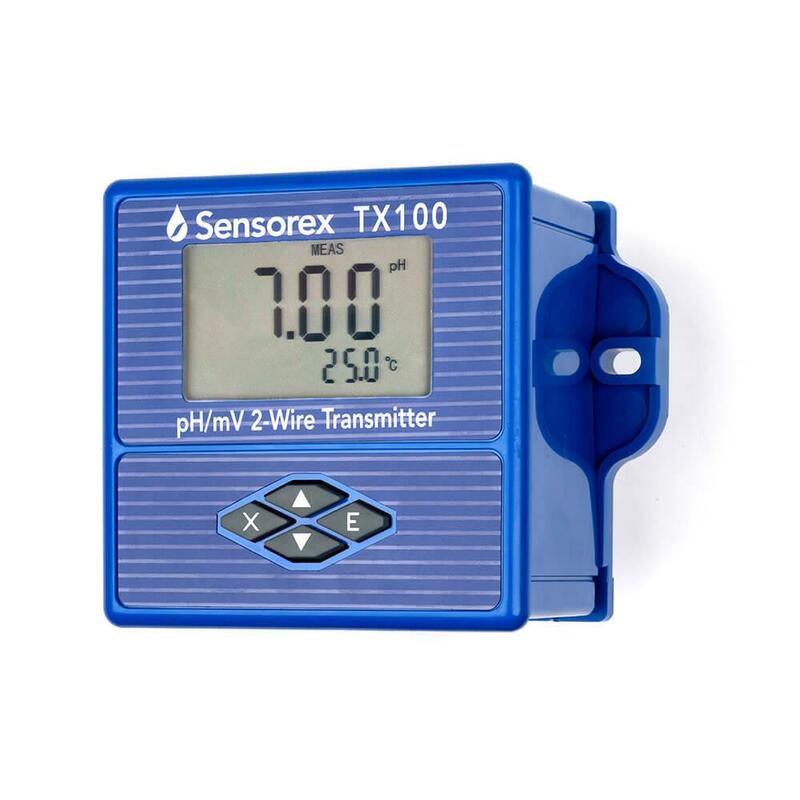 Note: Transmitter is only compatible with sensors with tinned leads. 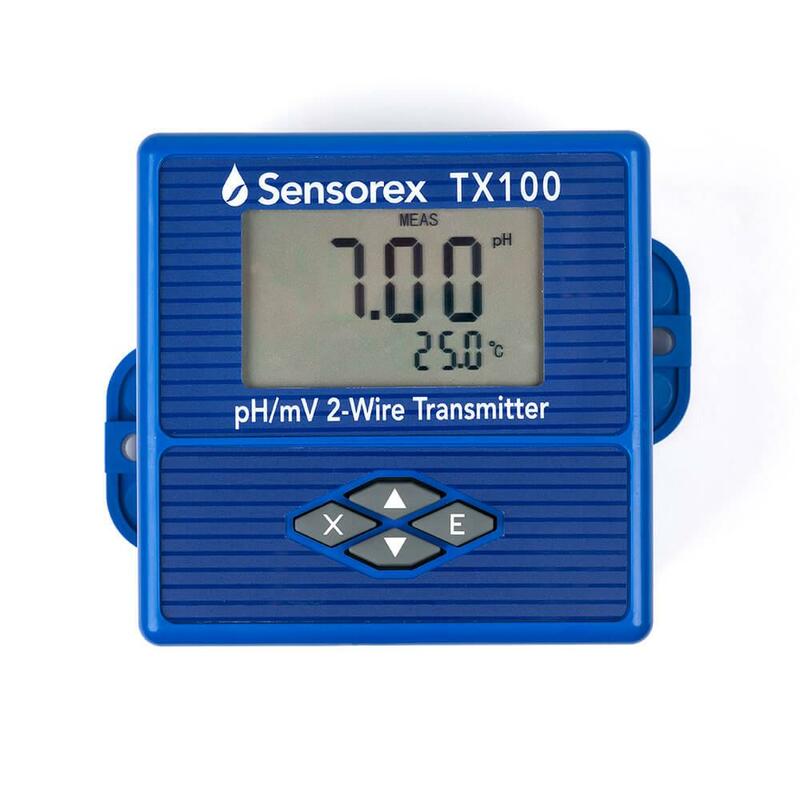 Our TX100 is a fully-featured ORP/pH transmitter for use with pH and ORP sensors. 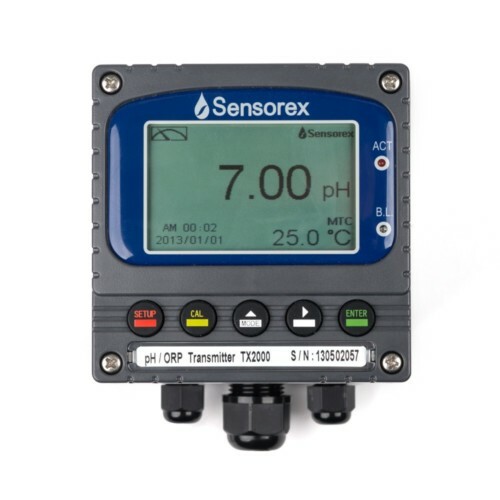 The large display shows pH/ORP value simultaneously with temperature. Versatile mounting options for wall, panel, DIN rail or pipe mount.